Yellow gold PVD case and three-link bracelet. Yellow gold PVD three-blade deployment buckle. 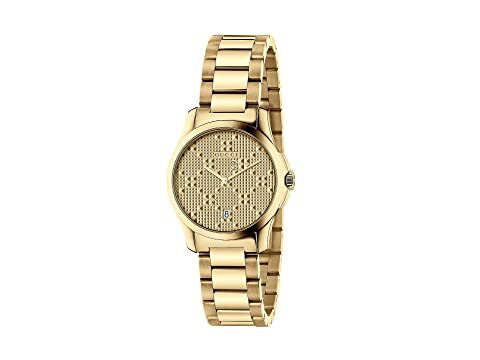 Gold-tone dial face with three-dimensional new diamond pattern. We can't currently find any similar items for the G-Timeless Small 27mm - YA126553 by Gucci. Sorry!